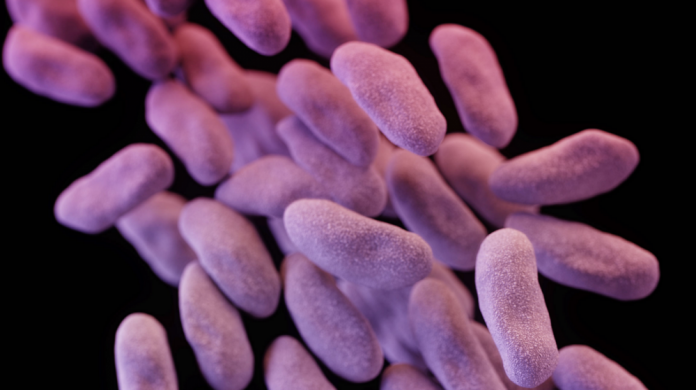 An up-close medical illustration of a deadly superbug. I was too sick to be scared. But I knew I wasn’t ready to die. My life to that point had been like a bumper-car ride at the fair. I hopped jobs. I drank too much until I quit at 35. I sank into deep depressions but kept climbing out. I got divorced, but we had two amazing kids. I wanted to finish a book I’ve been working on forever. I wanted to see my grandson grow up. I had left so much undone that my heart ached. I used to joke about my musical children: “I’ve seen both of my kids play at The Earl in East Atlanta. My life is complete.” But it wasn’t complete. It wasn’t nearly complete. The intensive care unit doctor at Piedmont told me I needed so many drugs so fast that he wanted to put an IV in my neck. I signed a form acknowledging the procedure might produce a blood clot. The ICU staff saved my life. In the 1990s, urban development expert Christopher Leinberger dubbed Atlanta the poster child for urban sprawl, and “the name kind of stuck.” The city’s suburbs were growing at a rapid pace, adding over a million people between 1990 and 2000. With MARTA, the Metropolitan Atlanta Rapid Transit Authority, confined within city limits because of worries of the crime it would bring, massive freeways and wide parkways provided the only connections to the wider metropolitan area. Gas-guzzling cars filled the roads, ferrying suburbanites to and from their homes on quiet cul-de-sacs, past big box stores and strip malls, and through open countryside. Atlanta’s sprawl fueled a booming economy but also isolated its poorest residents in pockets of poverty. Those without cars faced long commutes on MARTA’s underfunded, limited bus and rail service to get to their job or simply to buy food. The interstate highways that suburbanites relied upon to commute to the city demarcated racial boundaries and gutted black neighborhoods. Yet since the 1990s, the city has begun to change. At some point during the process of planning the streetcar route, was there no one at the city level saying: “Is there even a chance to develop empty spots around the tracks”? Many of the parcels are owned by large institutions like GSU and Big Bethel church, and neither of them seem to be on board with the idea of filling the places alongside the tracks with urban density. There are some new student apartments going in on the Edgewood Avenue stretch, but we already have a lot of student housing near the streetcar and it isn’t producing any ridership that I’ve seen. The spending and mobility habits of GSU students seems to not really align with the streetcar service. This area needs more that students, and the city’s lack of ability to get new non-student residences and businesses developed on the streetcar line isn’t only hurting ridership. It’s also hurting the handful of businesses that have opened. I’ve spoken with a couple of owners of businesses on Auburn Avenue who’ve verified that the streetcar is not bringing in customers and that street traffic from pedestrians is so unreliable that regular opening hours are difficult to maintain These stores get no foot traffic from the surface parking lots. No customers came from the empty Atlanta Life buildings and weeded, empty lots. Read: Could Atlanta Once Again Become A Streetcar City? Will the purple ribbon cane repatriation project save Hog Hammock? Or is it a wistful dream? If you ask Bailey, she resorts to storytelling. “They tell me I died as a child and when I suddenly came back to life all the elders said I had come back for a reason. They believed I could see and hear and know things the ordinary person can’t.” She hints that the legend may be true; she seems to know things before they happen. “My husband and I moved to St. Simons Island for a while in the 1960s, and then we came back here. And people said, ‘You’re back for a reason. God sent you back.’” That expectation, she acknowledges, is a burden, but it’s woven into who she is. It’s a hard thing to figure out: how Sacred Harp attracts so many different kinds of people, from near and far away, people who might have no interest at all in its religious roots. I asked our photographer Kelso, who freely identifies as a Christian, why he thought the music could cross those lines. I was supposed to love being a restaurant critic. What happened?